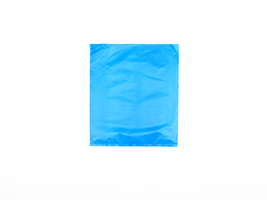 High molecular weight, high density film makes Plastronic® Merchandise bags strong and durable. They're embossed for easy opening, and are conveniently packaged in a low cube dispenser carton that’s easy to use at the retail counter and stores easily on shelves. Larger merchandise bags with die cut handles are also available. These bags are made with controlled-life technology that enables them to break down in the presence of sunlight, heat, moisture, and outdoor elements, but still allows them to be recycled with regular HDPE material.